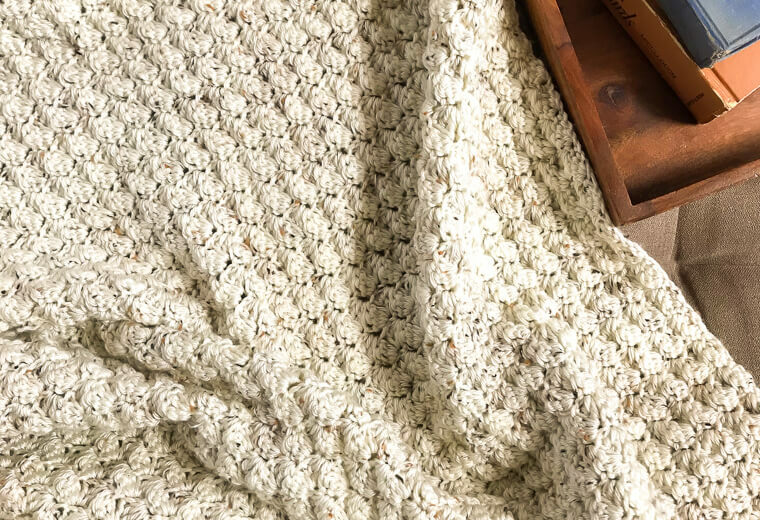 I designed the Lakeside Throw Crochet Afghan Pattern to be stylish enough to leave out as a decor accent but cozy enough for when you need some time to rest and restore. 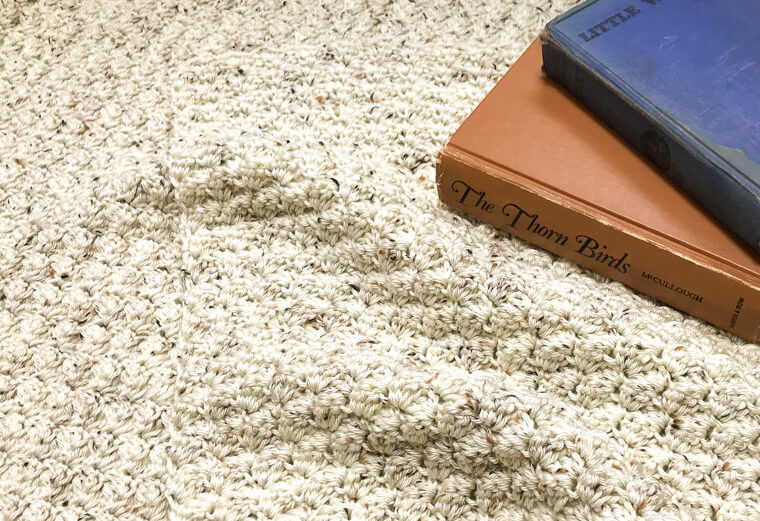 It just begs you to curl up for awhile and indulge in a good book or movie. And best of all, it’s the perfect pattern for all crochet experience levels. 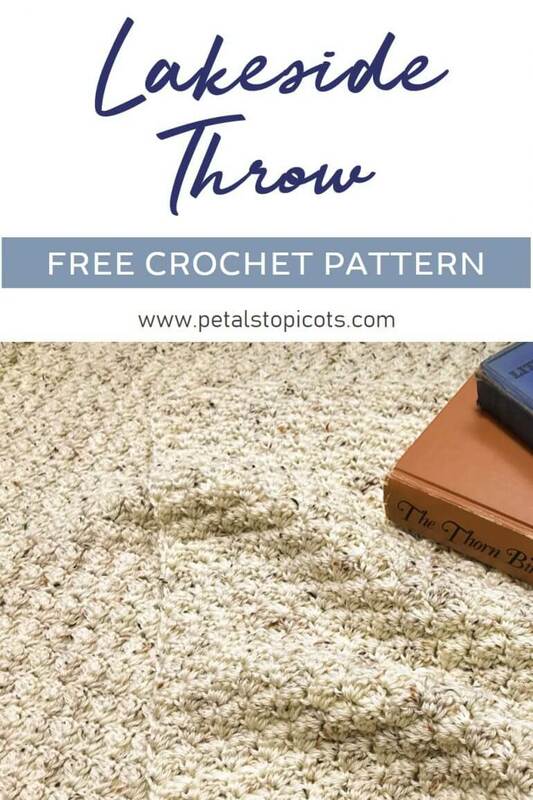 The textured stitch pattern is one of my favorites … it so rich and complex, but is really quite simple using only two basic crochet stitches. I’ve included a video below to walk you through the stitch. You can also see it worked up in this Textured Dishcloth Crochet Pattern. Finished afghan as written measures approximately 60 in. x 40 in. but can be easily customized to any size you desire. To customize size, chain a multiple of 3 + 2. I found that this stitch pattern results in nice and neat edges without the need to add a border. If you do prefer to add a border, you can use the simple single crochet edging pattern as I did in the Textured Dishcloth Crochet Pattern. 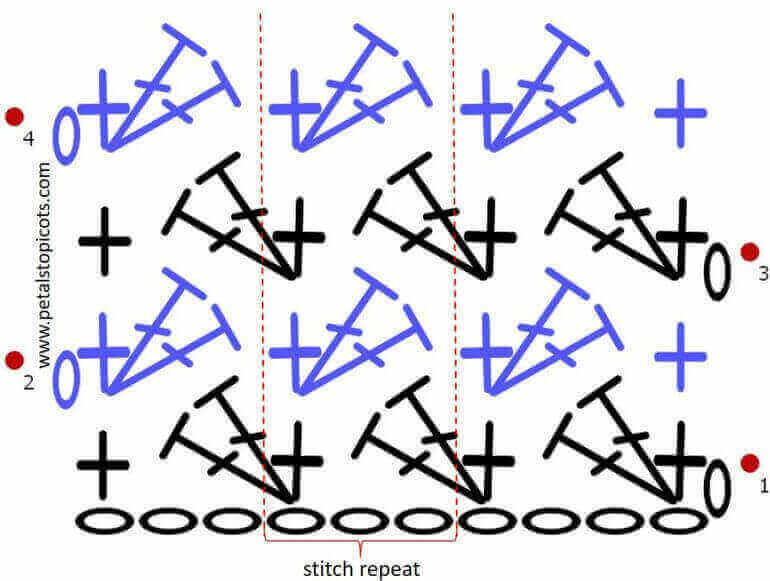 If you need a refresher, check out my stitch tutorials for how to do a single crochet here and how to do a double crochet here. Row 1: Work [1 sc, 2 dc] in 2nd ch from hook, skip next 2 ch, *work [1 sc, 2 dc] in next, skip next 2 ch, rep from * across until last 3 ch, skip next 2 ch, 1 sc in last ch, turn — 133 sts. Row 2: Ch 1 (does not count as st), work [1 sc, 2 dc] in first st, skip next 2 sts, *work [1 sc, 2 dc] in next, skip next 2 sts, rep from * across until last 3 sts, skip next 2 sts, 1 sc in last st, turn — 133 sts. Rows 3 – 131: Rep Row 2 for a total of 131 rows or until desired length is reached. hi…i love this blanket and wondering if it can be done in cotton? Hi Lorna 🙂 Sure! It can be worked in any yarn you like. A very nice stitch and a beautiful, easy crochet pattern for an afghan! I also like the stitch diagram, included with the instructions. This summer, I definitely will make this in the color shown and maybe a medium blue border. Thank you for sharing this pattern! What a great stitch for a blanket. It works wonderfully with the yarn you chose.